Razieh Abedi was born in Tehran, Iran in 1991. 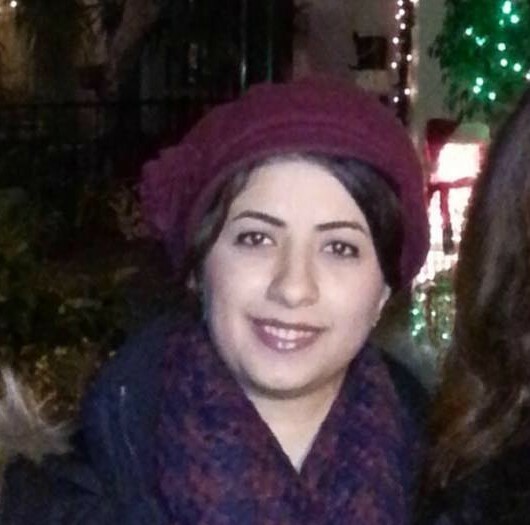 She received the Bachelor degree in Electronics and electrical engineering from Sharif University of technology in 2013 and Ph.D. degree at the University of California, Irvine in 2018 under supervision of Dr. Payam Heydari in the area of high-frequency integrated circuits. Her current interests include design and analysis of Analog, RF, and mm-wave IC for application in bio-medical instruments and wireless transceiver. Amir Esmaili received the B.S. degrees in electrical engineering in 2011 from the University of California, Irvine, where he received the MS degree in electrical engineering. In 2012, he joined Sabertek,Inc. Irvine,CA as a Design Engineer. His research Interests include high-frequency integrated circuit design wireless communications. He is currently working at Anokiwave Inc. San Diego, CA which He is working of mm-wave front end circuit design Mr. Esmaili is the recipient of 2011 Fellowship Award winner of University of California Irvine, Department of Electrical Engineering and Computer Science .The undergraduate Research Fellowship Award winner of university of California Irvine, January 2010. 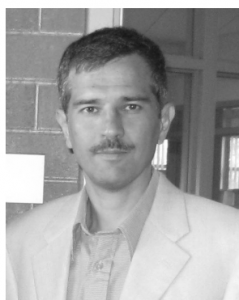 Peyman Nazari received his PhD and MSc. degree in electrical engineering from UCI in 2015 and 2017 respectively. 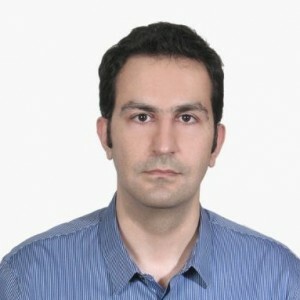 He received his B.S degree also in electrical engineering from Sharif University of Technology, Tehran, Iran in 2010. His research at NCIC labs was on sub-THz RF transceiver and radiator design in CMOS and BiCMOS technology. He has been with Qualcomm as an engineering intern in Summer 2012 and 2013 where he worked on design on power amplifiers and power detectors in advanced CMOS technology. 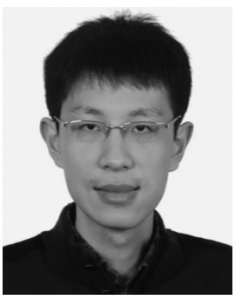 His research interests include analog /RF circuit design, mm-wave and sub-THz signal generation, power amplification and receiver design in silicon technology. 25. Anupama Bhat; M.S. 2016 Anupama Bhat received her M.S. degree under the supervision of Professor Payam Heydari in 2016. Her M.S. thesis was on "High Power and High Efficiency Doherty Power Amplifier Design at 8 GHz for Drone Applications." Akshay Mahajan received the B.Tech degree in Electronics and Communications from National Institute of Technology, Hamirpur, India, in 2012 and the M.S degree in Electrical Engineering from the University of California, Irvine, USA in 2015. He is currently working in Radio Group in Broadcom Limited, San Diego, CA. 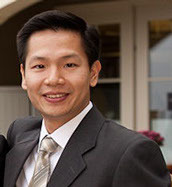 Francis received his Ph.D. degree in electrical engineering from UCI in 2014. His research in the Nanoscale Communications Integrated Circuits Lab at UCI focused on silicon-based millimeter-wave and sub-millimeter-wave circuits and systems-on-chip at frequencies from 5GHz up to 500GHz. His research here led to the first completely integrated silicon imaging receiver to demonstrate a measurable NETD sensitive enough for passive imaging systems. It was also the biggest RF/MMW chip designed to date by the lab, a 6mm x 6mm area-efficient beam-steerable sub-terahertz imaging receiver array. In addition to silicon-based imaging systems, his research also included investigation into silicon-based power-efficient sub-terahertz radiators, along with the development of a novel complementary mixer. Prior to his graduate studies he worked as an analog/mixed-signal design engineer at Rockwell International, and also briefly held positions at VTC and Globespan. In 1990 he started a consulting company providing design and layout services for CMOS/BiCMOS circuits and systems primarily covering baseband mixed signal ICs in analog front ends for both disk drives and DSL chipsets. He has since expanded to sub-THz frequencies. His present interests include CMOS/BiCMOS circuits and systems covering baseband through sub-THz frequencies. He holds two patents and is the co-author of several papers. Zheng received the B.S and M.S degree from Tsinghua University, Beijing, China in 2007 and 2010, respectively and the Ph.D. degree in electrical engineering from University of California, Irvine in 2014. In 2011 and 2012 he was with Broadcom Corp., Irvine, where he was involved in the design of 60GHz CMOS radio and E-band PtP communication. He is now with Qualcomm Inc., San Diego, working on the RFIC design for cellular applications. His research interests include RF, mm-wave/THz integrated circuits design for wireless communication systems, and imaging applications. Pei-Yuan received the B.S. and M.S. degrees in communication engineering from National Chiao Tung University, Hsinchu, Taiwan, in 2006 and 2008,respectively. In 2014, he received the Ph.D. degree in Electrical Engineering and Computer Science Department at University of California, Irvine. His research interests include millimeter-wave (mm-wave) and terahertz integrated circuit design for wireless and high speed data communication. From June 2012 to December 2012, he was with Wireless/Bluetooth Group, Broadcom Corporation, Irvine, CA, where he involved in the development of 60 GHz CMOS radio chip. He is now a Senior RFIC Design Engineer at Marvell Semiconductor. Leland was born in California in 1982. He received the B.S. degree in electrical engineering from the University of California, Irvine, in 2005, the M.S. degree in electrical engineering from UC Irvine in 2007, and the Ph.D. degree in electrical engineering at UC Irvine with an emphasis on silicon based millimeter wave circuits and systems-on-chip in 2014. Since 2005, he has been working as an RF/MMIC design engineer in the Advanced Technologies Department at Northrop Grumman Aerospace Systems, Redondo Beach, CA. Dr. Gilreath was the recipient of the Northrop Grumman Space Technology Ph.D. Fellowship Award in 2008 and the UC Irvine Brython Davis Fellowship in 2013. He is now an RFIC Design Engineer in Anokiwave Corporation ( a startup developing mm-wave IC products). BK received his M.S. degree in electrical engineering from the University of Southern California, Los Angeles, CA, USA, in 2002 and the Ph.D. degree in electrical engineering from the University of California, Irvine, CA, in 2013. 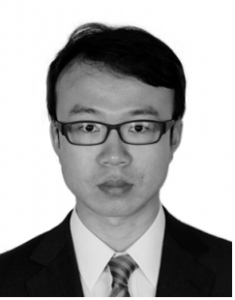 Dr. Chun is currently a Senior Engineer with the Flash Memory Design Group, Samsung Electronics, Suwon, Korea. 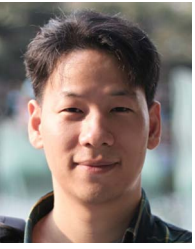 From 2002 to 2006, he was with Samsung Electronics as an Engineer in the DRAM Design Group, where he worked on the design and development of advanced high speed DRAMs. He interned in the Wireless Connectivity Group of Broadcom Corporation, Irvine, CA, in summer and fall 2008. His research interests include high-frequency and low-power integrated circuits and systems design in silicon technology. Current position: Design Engineer, Samsung Electronics, Inc; Korea. Behrooz received the B.S. (Hons.) and M.S. degrees in electrical engineering from the Iran University of Science and Technology and Sharif University of Technology, Tehran, Iran, in 1993 and 1997, respectively, and the Ph.D. degree in electrical engineering from the University of California, Irvine, CA, USA, in 2012. 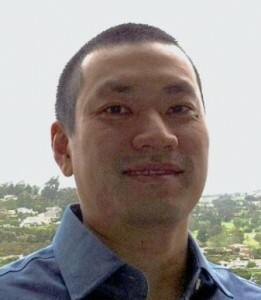 He joined Valence Semiconductor in 1999, as a Senior Design Engineer. From 2003 till 2015, he has been with Maxim Integrated after the acquisition of Valence Semiconductor. In 2015, the Human Interface Business Unit (where he was a member of design team) was acquired by Qualcomm, Irvine, CA. He has been involved in design and development of multiple product lines including GPS receivers, power line communication AFEs, and is currently highly sensitive and immune to noise touch screen controllers. He is the co-author of four patents in the area of capacitive touch-screen controller architectures. His current research interests include highly integrated mixed-signal analog front ends used in communication systems, and high-speed data converters. He has extensive experience with different EDA tools and methodologies in analog and digital flows covering chip-level and back-end verifications. 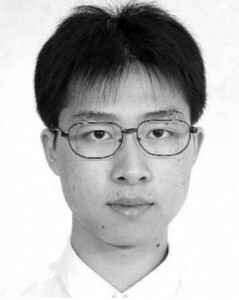 Current position: Senior Design Engineer, Qualcomm, Inc.
Zhiming received the B.Eng. degree in electronic engineering from Tsinghua University, Beijing, China, in 2007, and the M.S. and Ph.D. degrees in electrical engineering under the supervision of Prof. Payam Heydari at the University of California at Irvine, Irvine, CA, USA, in 2009 and 2012, respectively. From June 2010 to November 2011, he was with Broadcom Corporation, where he was engaged in 60-GHz phased-array radio development. In Spring 2012, he joined the faculty of the Beijing Institute of Technology, Beijing, China, where he is currently an Associate Professor with the School of Information and Electronics. As a former member of the NCIC Labs, he continues to do research in the areas of analog, RF, and millimeter-wave (MMW) integrated circuit design. Chun-Cheng received the B.S. and M.Eng. degrees in electrical and computer engineering from Cornell University, Ithaca, NY in 2003 and 2004 respectively, and the Ph.D. degree in electrical engineering from University of California, Irvine in 2012. From 2004 to 2007 he was with Realtek Semiconductor Corp. as an Analog/RF Design Engineer, where he was involved in the design of 802.11 a/b/g/n CMOS radio. From 2012 to 2013, he was with Peregrine Semiconductor, San Diego, CA. 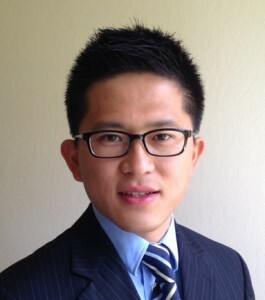 Dr. Wang is now a Principal Engineer working on RF/mm-wave IC design at Anokiwave Inc., San Diego, CA. His research interests are in RF and millimeter-wave (mm-wave) integrated circuit design for wireless communications, automotive radars, and imaging applications. During his Ph.D., he interned at Fujitsu Laboratories of America, Sunnyvale, CA and Broadcom Corp., Irvine, CA, both involved in the design of 60GHz CMOS radio. He was the recipient of the Mindspeed Fellowship in 2011, the Center of Pervasive Communications and Computing (CPCC) Fellowship Award in 2010, the School of Engineering Research and Travel Grant Award in 2009 and the EECS Department Fellowship in 2007 at University of California, Irvine. He is a member of Golden Key Honor Society and Eta Kappa Nu. Eric is currently at Tesla Motors in Palo Alto, CA working with the Firmware group. He spent four years with Broadcom's RF group doing some RF design and simulation methodology alongside RFDVT work. M.S. EE from UCI in 2012, B.S. EE from UCI in 2010. He is now an RFIC Design Engineer at Tesla, Inc.
Amin received the B.S. and M.S. degrees in electrical engineering from the Sharif University of Technology, Tehran, Iran, in 2003 and 2005, respectively, and the Ph.D. degree in electrical engineering from the University of California at Irvine, in 2011. In Summer 2007, he was with Fujitsu Laboratories of America, where he was involved with modeling and design of millimeter-wave frequency synthesizers. In Summer 2008 and 2010, he was with Qualcomm Inc., where he designed an ultra-compact on-chip tone generator for calibration purposes and a real-power detector for Bluetooth and wireless local area network (WLAN) transmitter modules. 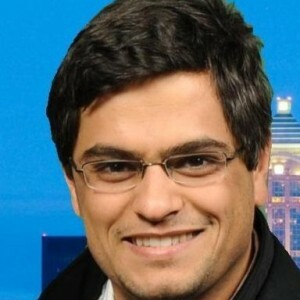 In 2011, he joined Qualcomm Atheros Inc., Irvine, CA as a Senior Engineer. Mr. Jahanian was the recipient of the Henry Samueli School of Engineering Fellowship Award in 2006, the Center for Pervasive Communications and Computing (CPCC) Fellowship Award in 2007, and Mindspeed Fellowship Award in 2010. He was a corecipient of the Eighth International Low-Power Design Contest Award presented at ISLPED 2008. Fred received his B.S., M.S., and Ph.D. from the University of California, Irvine, CA, USA. He is currently with Oakgate Technology, a storage and software test company based in Loomis, CA, USA. Prior to that, he was with Sabertek, Inc., working on RFIC design. Prior to that, he co-founded and led the product development at ZeroWatt Technologies. Fred was the lead member of a team that won the 2009 Business Plan Competition at the Paul Merage School of Business, UC Irvine. Lei received the B.Eng. degree in electrical engineering from Huazhong University of Science and Technology (HUST), Wuhan, China, in 2002, the M.Eng. degree from the Department of Electrical and Computer Engineering, National University of Singapore (NUS), Singapore, in 2005, and the Ph.D. degree in electrical and computer engineering from University of California, Irvine, in 2010. He was with Institute of Microelectronics, Singapore, in 2003, where he did his Master research on analog correlator design for IR-UWB receivers. He worked at Atheros Communication, Inc. and at Broadcom Corp. as a Design Engineer intern in summers 2006, 2007 and 2009. His research interests include analog/RF/MMW integrated circuit design for wireless communication systems. 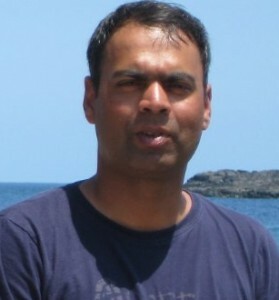 Vipul was born in India in 1983. He received the B.Tech. degree in electronics engineering from the Kamla Nehru Institute of Technology (KNIT), Sultanpur, India, in 2004, and the M.S. and Ph.D. degrees in electrical and computer engineering from the University of California, Irvine, CA, in 2007 and 2009, respectively. He was a summer intern at Skyworks Solutions, Irvine, CA, and Fujitsu Laboratories of America, Sunnyvale, CA, in 2005 and 2006, respectively. During the summer of 2008, he was a research intern at the IBM T.J. Watson Research Center, Yorktown Heights, NY, where he worked on integrated circuits for millimeter-wave imaging. From 2009 to 2012, he was with SaberTek, Inc., Irvine, CA, as a Senior Design Engineer. Since 2012, he is with Anokiwave Inc., San Diego, CA, where he is involved in the design of mm-wave integrated circuits for 5G applications. His research interests include silicon-based mm-wave integrated circuit for millimeter-wave wireless communication, automotive radars and imaging applications. 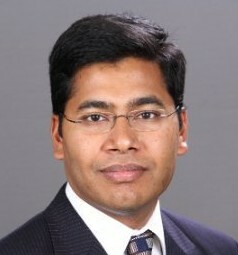 Dr. Jain served as the President of the IEEE student branch at KNIT in 2003. He was the recipient of the 2009 EECS Ph.D. Dissertation Fellowship and the 2005 Center for Pervasive Communications and Computing Fellowship at UC Irvine. He was also a member of the team that won the 2009 Business Plan Competition at the Paul Merage School of Business, UC Irvine. Le received the B.S. in EE from Fudan University in 2007. He received his M.D. degree in EE at UCI in 2009. While he was in the NCIC Labs, he was working on mm-wave integrated circuits design. He received his Ph.D. degree in EE at UC Santa Cruz in 2014. Amir (Aminghasem) received the B.S. and M.S. degrees in electrical engineering from the Sharif University of Technology, Tehran, Iran, in 2000 and 2002, respectively, and the Ph.D. degree in electrical engineering from the University of California at Irvine, in 2006. While he was doing his Ph.D. in the NCIC Labs, he designed a number of wideband CMOS integrated circuits based on the distributed architecture, including a distributed broadband mixer, distributed IF and zero-IF receivers, and distributed power combiner and splitter for multi-antenna radios. From 2006-2015, he was at Broadcom Corporation, Irvine, CA, where he was involved in the design and implementation of RF ICs for wireless communication systems. In 2015, he joined Sharif University of Technology as an Assistant Professor of Electrical Engineering. Sriram received his M.S. in EE from UCI in 2006. 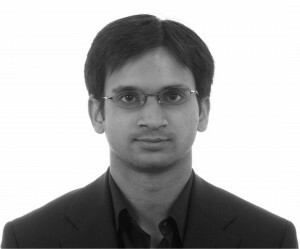 He and Vipul designed and measured one of the first UWB 24 GHz radar-on-chip receiver in CMOS. After the school, he worked for Avago Technologies almost 7.5 years. Since 2015, he works as Junior Associate in McKinsey and Company, Mumbai, India. Ravi received the B.S. degree from the Indian Institute of Technology (IIT) Kanpur, in 1998, and the M.S. degree in material science and engineering and from The Iowa State University, Ames, in 2000. He received his M.S. degree in electrical engineering from the University of California, Irvine. While he was in the NCIC Labs he studied the CML buffers and amplifiers design for broadband and ultra-high speed communications. He was with Int'l Rectifier from 2000-2004. From 2004-2014, he worked at Intel as staff design engineer. He is currently working at Inphi, designing 56G and 100G PAM4 transceivers. His research interests include broadband integrated circuit design.